Have you ever gazed up at the small airplane flying over your home, wondering who those people are and where they are going? Have you always wanted to fly but never knew where to start? I can help you! With your effort and my guidance, you can achieve the accomplishment of being a pilot! Here's how. 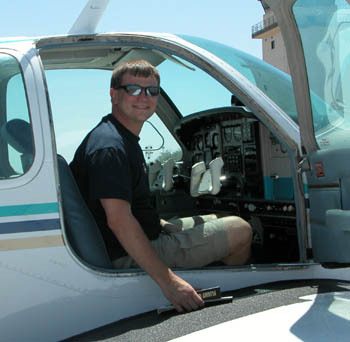 I am an FAA certificated flight instructor, teaching out of Palo Alto airport (KPAO) in Palo Alto, CA. I can also travel to San Carlos (KSQL), San Jose (KSJC), or Reid-Hillview (KRHV) to teach in your aircraft. Other specific subject areas as desired - just ask! Think of me as your personal tutor for your aviation goals. Lessons are always one-on-one with instruction tailored to your schedule and needs. Peruse the links to your left for more information. If you have any questions at all, or are ready to get started, do not hesitate to contact me! Any information you provide will remain confidential.